These photos are looking for their home. 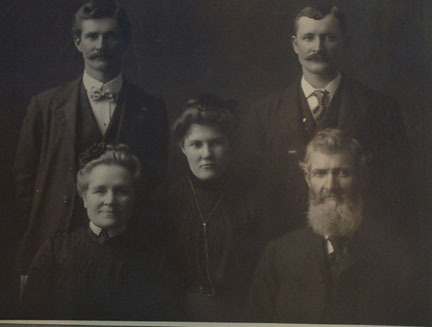 If you can lay claim to these ancestors email the submitter and they will send the photo to you. This photo was taken in Monticello, WI. 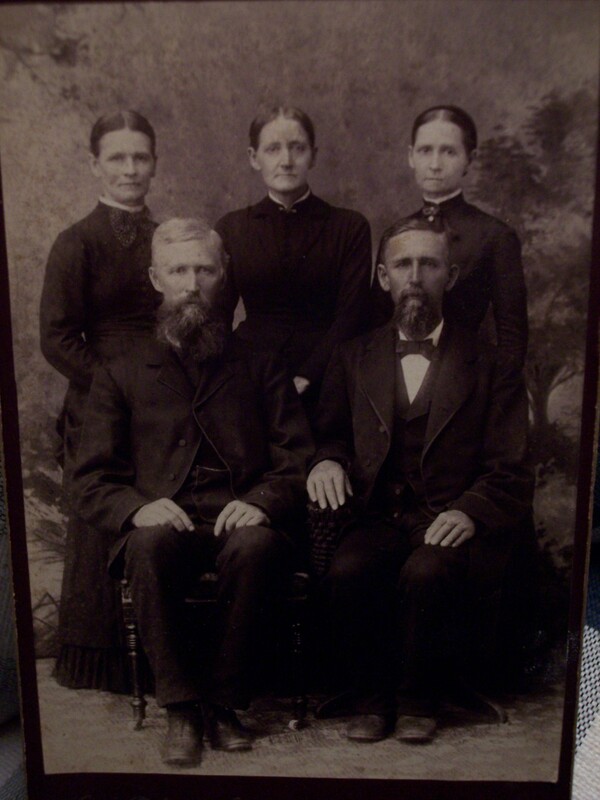 and is of the William H. and Hannah (Barlow) Clark family. The three children are Charlie, Wesley, and Daisey Pearl. I would like to put this photo in the hands of a descendant of William and Hannah. Please email Donald Gumaer. The name written on the back of this picture postcard is Chauncey Ward. We would like to see it returned to his family. 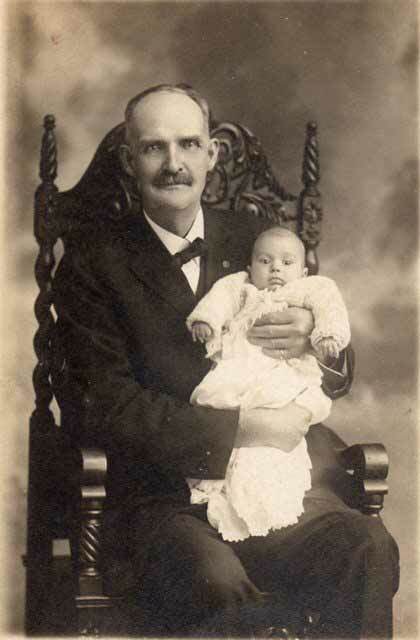 Please email Green County Genealogical Society and put in the subject line Attn: Webmaster, Chauncey Ward picture. This photo was taken at C.W. Lucas Studios in Brodhead, WI. On the back of the photo it reads Mary, Nellie, Nettie (Nube? ), Robert and John A. Under John A. it says Grandpa Chambers. Please email Joy Vaughn McGinnis. Beth May Palmer. 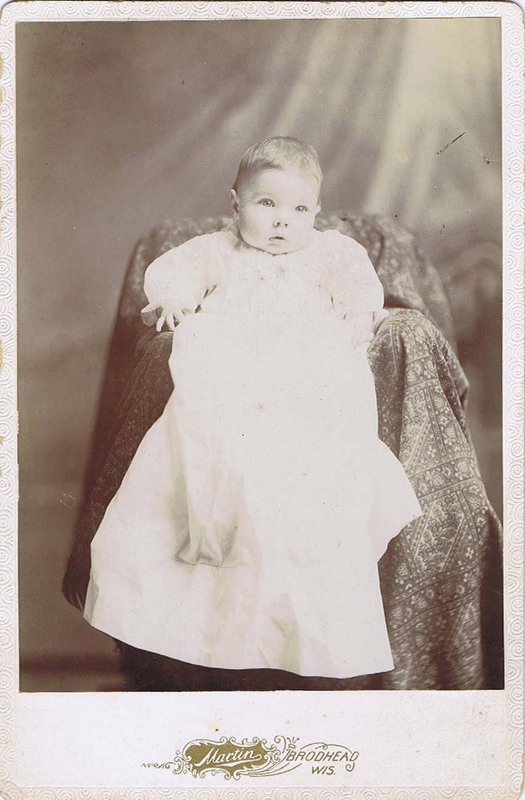 The back says Beth was 5 months old and was born 20 Nov 1897. This photo was taken at the Martin Studio in Brodhead, WI. Please email Donna Kjendlie.